Modi said it was not merely urban development that the government was focussing on, but emphasis was also being laid to promote development of rural areas around Varanasi. LUCKNOW: In the second and final leg of the two-day visit to his parliamentary constituency, Prime Minister Narendra Modi announced several development projects worth Rs 557 crore in Varanasi on Tuesday and interacted with students of Banaras Hindu University (BHU). Addressing a public gathering on BHU premises, Modi said that four years ago, he had embarked upon a journey with the people of Kashi for the development of the holy city and today the difference was quite visible to everyone. Calling the people of Varanasi his “High Command” and his master, Modi said that not only as the PM but also as the representative of the people of Kashi in Lok Sabha, he had come to give an account of every single penny and every single moment he spent for his constituency. 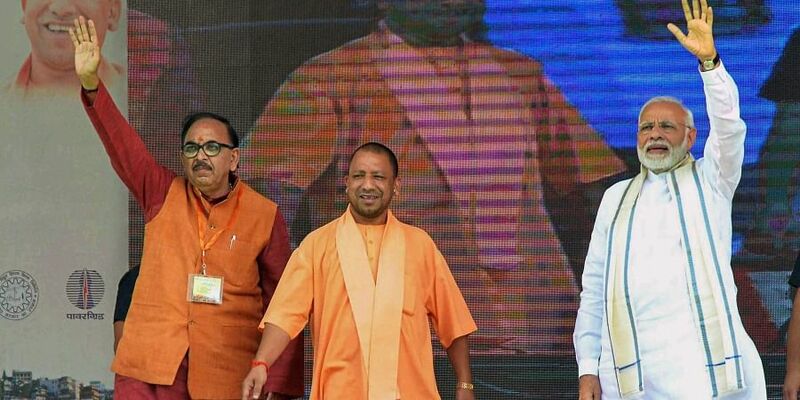 Modi’s speech was focused more on how the holy city had transformed rather than politics and the projects he announced were primarily focused on improvising transport facilities, connecting Varanasi to various parts of the country through railways, roadways as well as inland waterways. Modi also announced plans to make Varanasi a world-class medical hub. Modi said it was not merely urban development that the government was focussing on, but emphasis was also being laid to promote the development of rural areas around Varanasi. He promised that all villages would soon be provided with basic amenities of electricity, road and water. He announced plans to develop new cancer and Super Speciality hospitals that would provide modern treatment techniques to patients. He also talked about the foundations that were laid for Vedic Science Centre as well as Atal Incubation Centre in Varanasi.